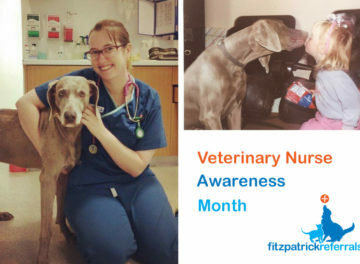 Each year in May we celebrate Veterinary Nursing Awareness Month, an opportunity for the veterinary profession to highlight the important role of veterinary nurses. 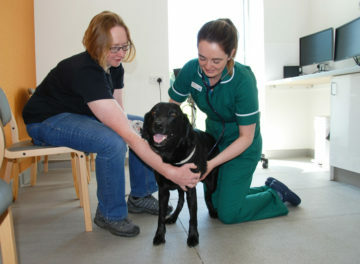 Veterinary nurses are the heartbeat of our practices, applying their skills and experience to provide round the clock compassionate care to each and every patient, as well as working seamlessly with our team of surgeons, auxiliaries, radiographers and rehabilitation staff to ensure we are all working as one unified team. 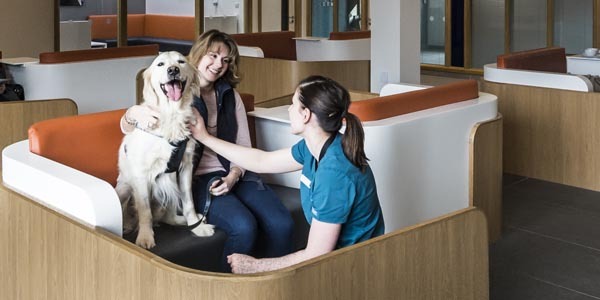 Fitzpatrick Referrals is committed to ensuring our veterinary nurses receive recognition and personal fulfilment in their career. Our team can follow a variety of development pathways in order to advance their skills and learning, with progression opportunities in both clinical nursing and nursing management. 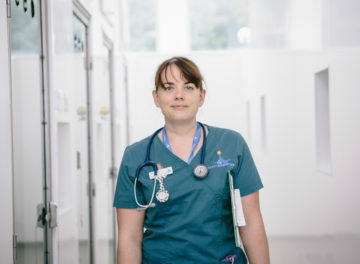 This month is my 10th anniversary working at Fitzpatrick Referrals where I’ve been lucky enough to shape and develop my veterinary nursing career. I started here straight after university as a new graduate and a few years later became a senior nurse. I took on the role of clinical nursing manager for the new oncology service in 2014 and helped to build and develop the team of nurses from 3 to 14 in three years. 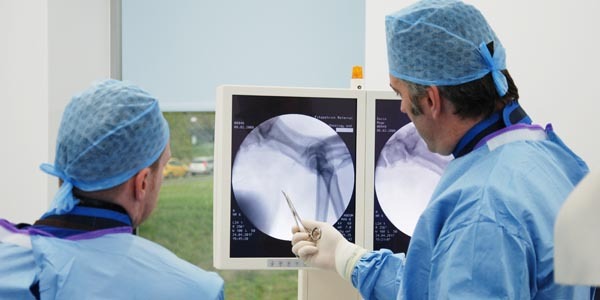 I’ve recently returned to the orthopaedics and neurology centre as clinical nurse lead to head up the team here. 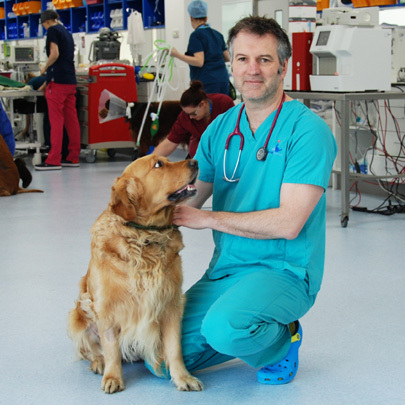 During these 10 years, I also completed my Graduate Diploma in Professional and Clinical Veterinary Nursing and am currently studying for the ILM Diploma in Leadership and Management. There appears to be a real problem in the profession with creating opportunities for nurses to progress their career and specialise both clinically and in management. As a result, we see increasing numbers of nurses leaving the profession prematurely due to reduced job satisfaction. I plan to develop a nursing structure and provide the coaching and support here that allows nurses to progress in the areas they are most passionate about. I am driven to ensure others are given the support and opportunities that I have been lucky enough to receive myself. At the oncology hospital, the nurses are often the first clinical person the owners see, plus the last when the patient goes home. They have to be knowledgeable, supportive and kind. 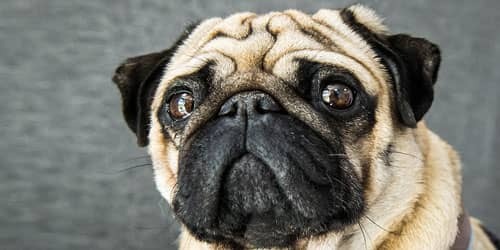 And then there is the whole middle part where they are at the leading edge of cancer care, giving cats and dogs new chances for living good lives, with or without cancer. 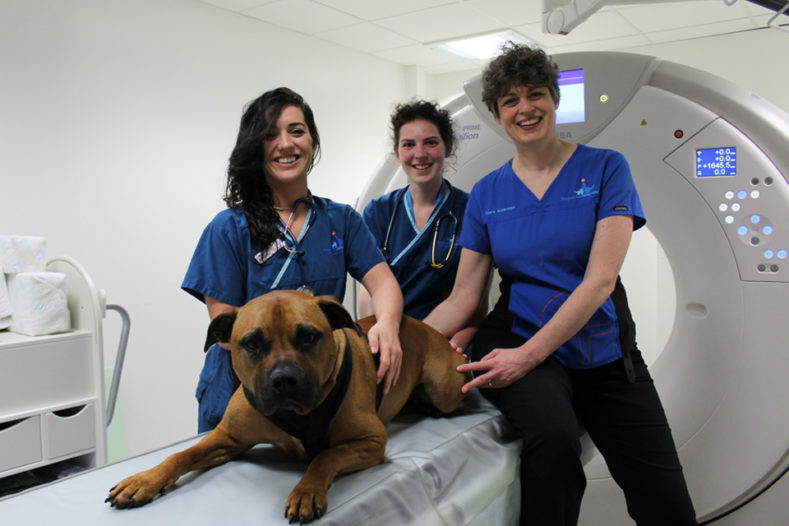 They are the true rock stars of Fitzpatrick Referrals Oncology and Soft Tissue. 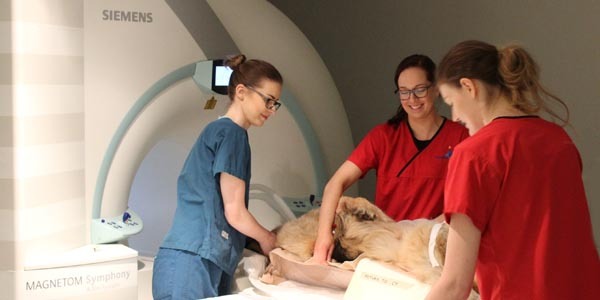 Doing spinal surgery for a paralysed dog is the easy bit. It is the nurses, auxiliaries and physiotherapists that invest the time and energy in caring, nursing and rehabilitating them, that ensures that the patient gets better and rejoins their family. 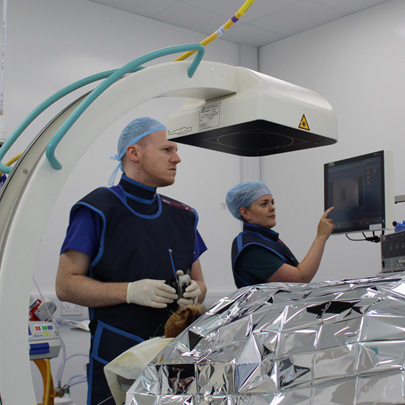 Interventional Specialist Nurse Jen O’Keeffe is such an important part of the team. 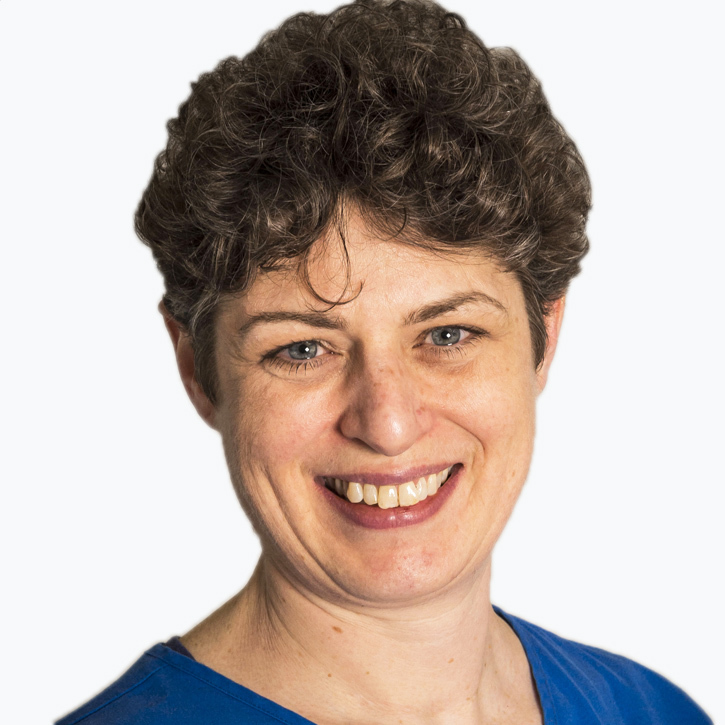 Not only is she involved in the pre-procedural assessment of the patient but she also scrubs into the surgeries, communicates with clients and helps with follow up assessments. Jen also takes charge of sourcing new equipment for all the novel procedures we are performing on a daily basis. The Interventional Radiology department would be a much less efficient service without Jen!